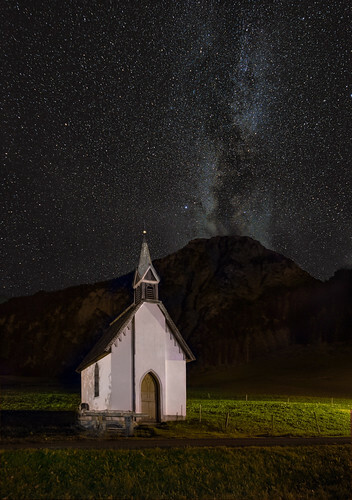 The chapel "Heart of Jesus" in Brand (Austria) under the Milkyway and Stars. The chappel was built in 1906. Image made with a Pentax K3ii and the built-in Astrotracer function, stacked in Sequator and composition in Photoshop.